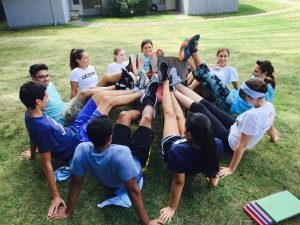 What is the purpose of the Off-Campus Community Leader (OCL) program? Off-Campus Community Leaders are undergraduate or graduate students hired, trained and supervised by Off-Campus Student Services. The Off-Campus Community Leader is responsible for coordinating programs for off-campus students. OCLs will provide student perspective to the Off-Campus Student Services staff for the creation of programs and services. What skills should OCLs have? Off-Campus Community Leaders are undergraduate or graduate students hired, trained and supervised by Off-Campus Student Services. The Off-Campus Community Leader is responsible for coordinating programs for off-campus students. OCLs will provide student perspective to the Off-Campus Student Services staff for the creation of programs and services. OCLs must also maintain a 2.5 or better cumulative GPA and not be under probation. What are some of the Responsibilities of an OCL? OCLs assist with the development and implementation of programs designed for off-campus student services. This may include but is not limited to creative development; coordinating logistics; promotion; staffing of the program or event; and evaluation. Programs and events include Off-Campus Housing Fair, Festival on the Green, Know Your Towns Fair, Roommate Fairs, cookouts at apartment complexes, Morning Welcomes in commuter parking lots, etc. Does this mean I have to give up my social life? No. We expect OCLs to be social because we want them to connect to their peers. That being said, we do expect OCLs to make responsible decisions and remember that they are representing the University of Connecticut and Off-Campus Student Services in their position. Off-Campus Student Services will begin the application process in the spring semester of each year. Please continue to check our website for more information.